Stylists are spoilt for choice with Pravana's extensive range of colours- from eye popping neons, pretty in pink pastels to vibrant reds and shimmering copper tones. Pravana has lifted the bar with its cutting edge technology behind the artificial colour extractor and a complete balayage system like no other that is sweeping the market by storm. THIS PRODUCT IS ONLY AVAILABLE TO REGISTERED HAIRDRESSERS Stylists.. 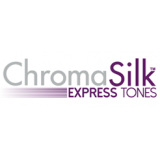 THIS PRODUCT IS ONLY AVAILABLE TO REGISTERED HAIRDRESSERS ChromaSilk VIVIDS a.. THIS PRODUCT IS ONLY AVAILABLE TO REGISTERED HAIRDRESSERS Chro.. THIS PRODUCT IS ONLY AVAILABLE TO REGISTERED HAIRDRESSERS ..
Vivids MOOD COLOUR is the industries FIRST-EVER heat-activated temporary hair colour tha..